Leo Ritmeester was the man behind the Sonopresse flexi records. Together with Roland Vonk I interviewed Leo a few years ago, just before he died. We talked about the amount of records that he has pressed, but there are no exact figures. 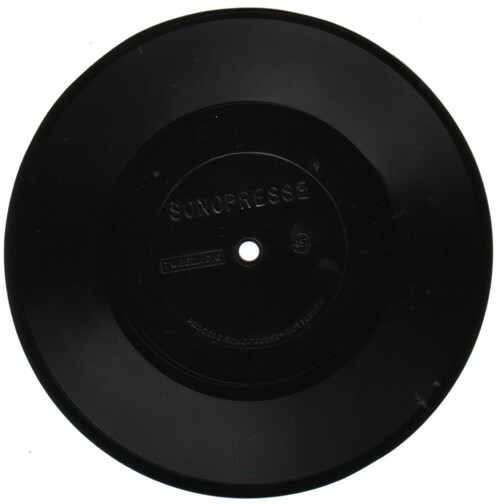 Some of the Sonopresse records have a number , but there are many Sonopresse records that don’t have a number. And I am pretty sure that Leo pressed many records too that didn’t even had the word Sonopresse on them. 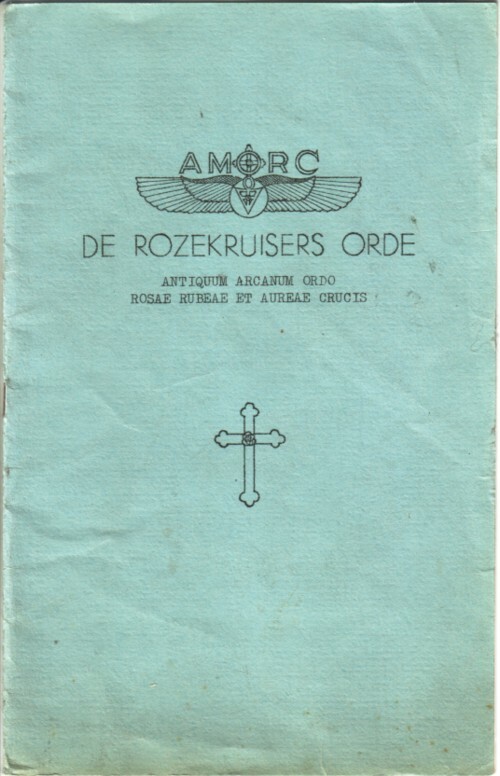 I found this record in a box with magazines, other publications and letters of the Dutch branch of the Rosecrucians, AMORC. It is all fifties stuff, and very interesting. Most of the ideas that I hear from occult organisations seem not very interesting to me. I hesitate to say that most of it is plain nonsense, but that is what I think. 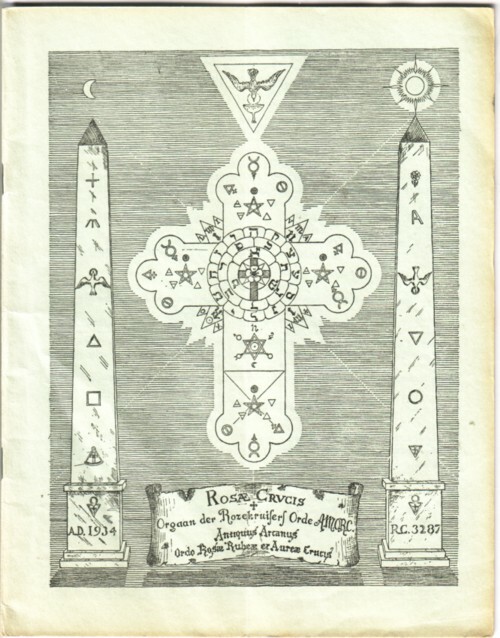 But the ideas that are described in the publications that I have of AMORC are of a different kind. At the root of this organisation were some people that knew what Life is about. Many articles are about the Oneness of Life, the One Truth, and how to realise It. Of course, there is also some nosense in these publications, and some of that is interesting too, because this was all written in the fifties, way before New Age and the spiritual wave that swept the Western world, from the seventies up till this very day. I mean, from an historical viewpoint this box is worth a study. The flexi record contains a talk about True Happiness and how to attain it. I wish I knew who the speaker is. His high pitched voice has the quality of a man dedicated to his work. And every word he says rings bells of Truth in my ears. Interessant verhaal. Maar de audiofiles staan er niet meer op? Is er een andere manier om ze te kunnen horen? Hallo Arnold, ik heb het geluid weer aangezet. Groeten! 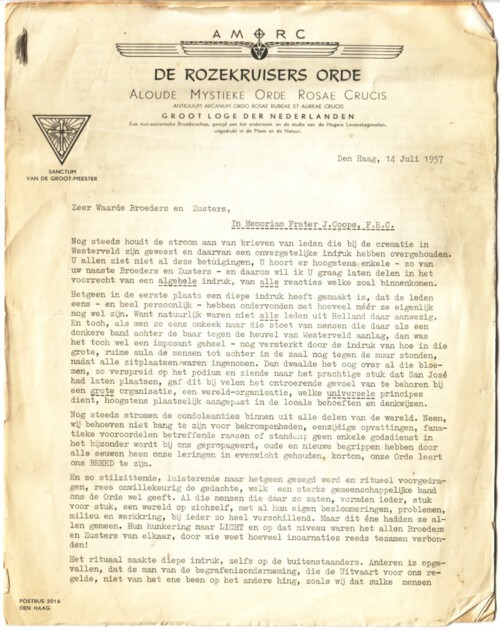 Hoi, Ik lees helaas hier dat Leo overleden is. Ik heb vanaf 2000 een langere tijd een samenwerkings verband met hem gehad en wilde hem eigelijk eens nog een spreken. Is er toevallig een laatste rustplaats bekend?